David Arthur Vineyards - Napa Valley Wineries - 1521 Sage Canyon Rd. Located high on Prichard Hill, the David Arthur Estate offers breathtaking views of the valley floor 1200 feet below. Cabernet Sauvignon grapes are grown on the rough mountain terrain. The original owners learned the art of winemaking by working hands-on with local wineries and cellars. In 1985, they harvested the first vintage Chardonnay, followed by the Cabernet Sauvignon. Through experience and knowledge of the land, they now grow fine wine grapes that help craft their memorable wines. 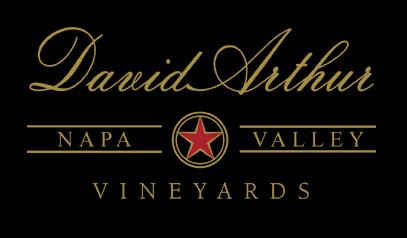 By focusing on vineyard site-expression and structure, David Arthur vintage wines possess distinctive characteristics only found from the grapes grown on this property.